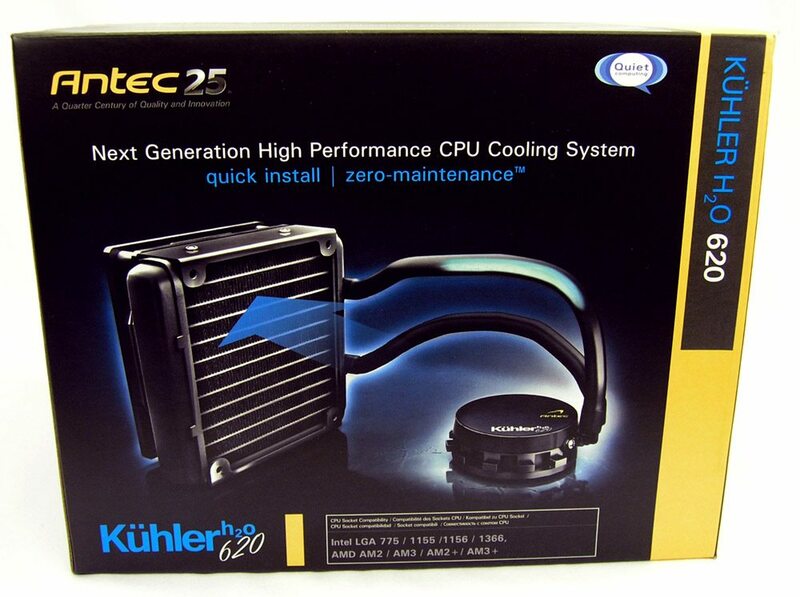 The second in my series of Antec reviews is the Kühler H²O 620, another self-contained liquid cooling unit for your CPU. 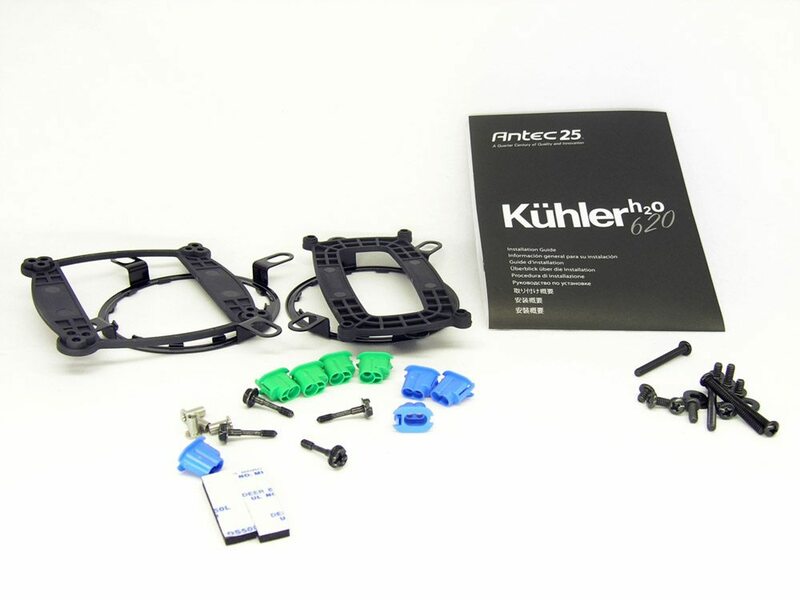 The Kühler H²O 620 is a more basic, simple and cheaper version of the Kühler H²O 920. Although lacking some of the features of its bigger brother, we will see if the 620 wins in the value for money department. The box that the unit comes in is very clean and professional looking. Brief specifications and compatibility information are also shown. 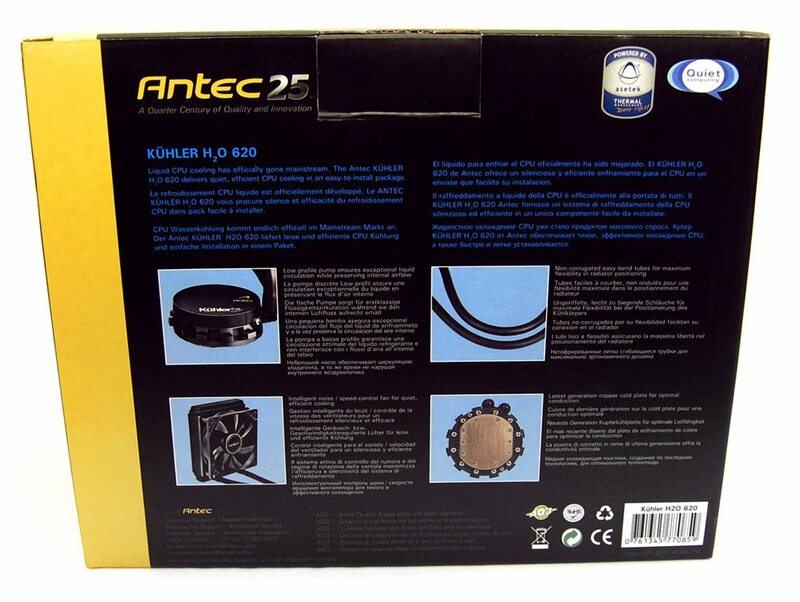 The rear of the box shows many details, features and information about the main components of the device. 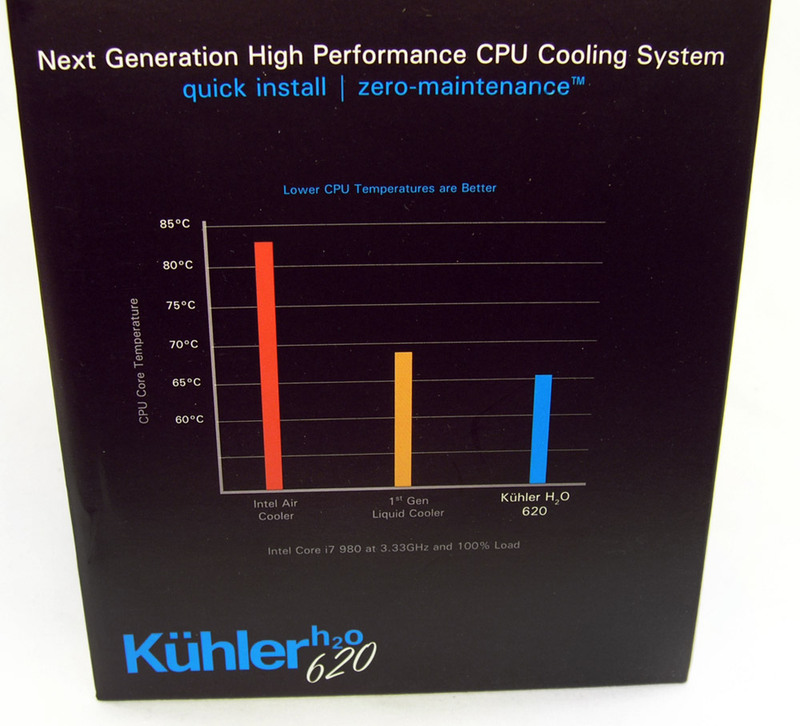 On the side we see a graph comparing to an Intel stock cooler, a first generation liquid cooler and the Kühler 620.